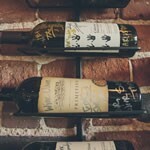 Located in downtown Lodi, Wine Social offers a lounge tasting environment featuring Italian and French varietals by Sorelle Winery and Six Hands Winery. Enjoy tasting and wine flights both inside or outside on our patio. Small bites are available for purchase to accompany our wine tasting menu. Wine tasting daily until 5:00pm. After 5:00pm, wine is available by the glass, bottle, or flight.